The Faster Way to Fat Loss ® or as I like to call it the Faster Way to Weight Loss is the best program I have ever used. Its how I have been able to lose weight on vacation and recently lose 15 pounds in one round. 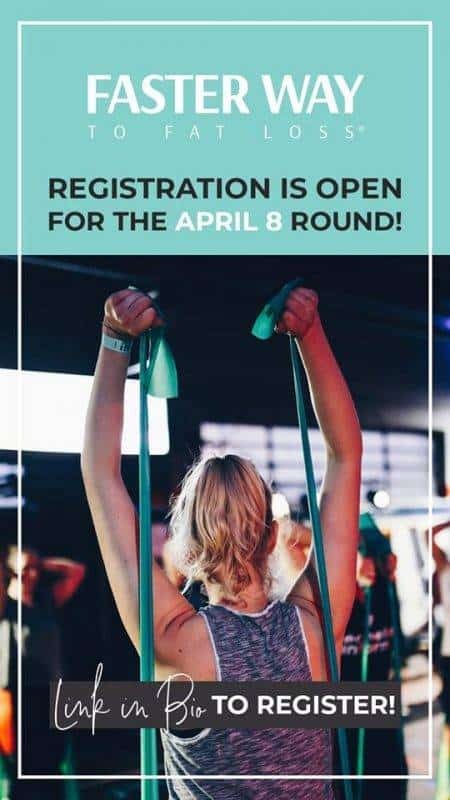 I have now participated in three rounds of the Faster Way to Fat Loss and moved into the monthly VIP program (for those who have completed at least one round of FWTFL). This has been the best program I have used to lose weight while on vacation. As a travel blogger I spend a lot of time abroad and even though I do a lot of walking, there is a tendency to overeat – gelato twice a day while walking around Rome, why not? Stopping at French patisseries for a coffee and a croissant every afternoon for a break, of course! Disclaimer: You should have your doctor’s approval before beginning any diet or exercise program. I am not a trained professional. I am writing about my experience. The Faster Way to Fat Loss ® is a 6-week online program that will empower you to transform your life through simple, effective, cutting-edge fitness and nutrition strategies created by Amanda Tress. This program is a highly researched to help lose weight, especially belly fat, through intermittent fasting, carb cycling and tracking macros to fuel your body. Amanda focuses on feeding our bodies the right nutrients at the right time. I love this program so much. Not only has this put me back in control of my relationship with food, but I have also gained strength and muscle while losing weight on vacation. This is not a diet, it is a lifestyle – and it is a freaking effective way to burn FAT. 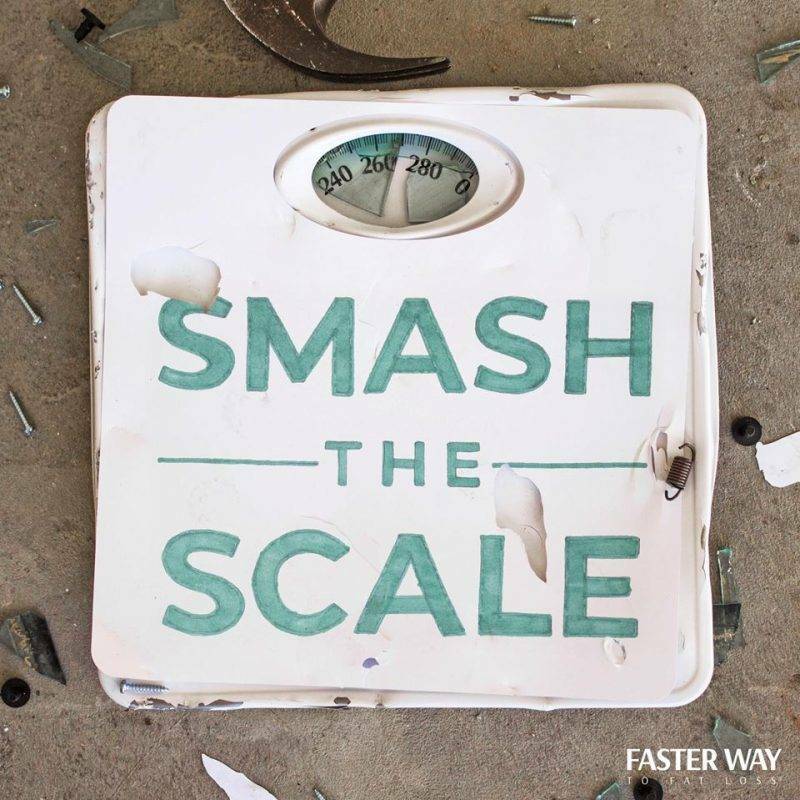 Want to know what the Faster Way to Fat Loss ® is all about? There are three main components – carb cycling, intermittent fasting and tracking your macros. All easy to implement and explained below. In the Faster Way to Fat Loss ® we use carb cycling, it is not a low carb diet. Carb cycling is an alteration of carbohydrate intake to prevent fat loss plateaus and keep your metabolism working effectively. Basically, you cycle between low carb days and regular carb days to ensure that your body burns fat effectively without causing significant hormonal damage or dips in energy. • Fat loss, as opposed to overall weight loss. Carb cycling clients see actual body composition changes. • A nutritional strategy that isn’t too overwhelming or stressful. One that allows you to eat out and enjoy your lifestyle while continuing to see progress towards your goals. I’ve always been a good sleeper but my energy has been quite sluggish especially as I have gotten older. The biggest change I have seen is to my energy levels. I wake up ready to go which is what I have been looking for every time I lost weight. When I signed up for the program I wasn’t too worried about the workouts or the low carb days, it was the intermittent fasting that I was worried about. On the program you will eat for 8 hours of the day and fast for 16 hours of the day. Amanda says – During the FASTer Way to Fat Loss®, my clients engage in a daily 16/8 fast protocol. This means that they fast for 16 hours each day (most of which are overnight while they are sleeping), and consume ALL of their daily calories during an 8 hour feeding window. While there are other fasting schedules that can be followed for similar results, this is the most doable for the busy women I work with! I admit starting the 16/8 fast protocol takes a few days to get used to it but once you do it is absolutely amazing. I use an eating window of 10-6pm. I was born and raised in the Midwest of America and we eat dinner early, and also eat most of our calories during the day. That’s why I have chosen a feeding window of 10-6pm. Most people do 12-8pm but the system is flexible and you can choose your own timing. I have really enjoyed the intermittent fasting part of the lifestyle. I am rarely hungry (only if I haven’t eaten enough the day before) and that affects mostly first thing in the morning. And just to clarify – YES you can still drink coffee (and wine) on the program. Most of my fasted time occurs while I am sleeping from 10pm to 6am. I have never really eaten after dinner so late night snacking is not a problem for me. I do miss eating first thing in the morning but what I have learned is that I am actually thirsty not hungry after sleeping for eight hours and not drinking any water. In FWTFL, we do not count calories but we are eating the right macros at the right time. 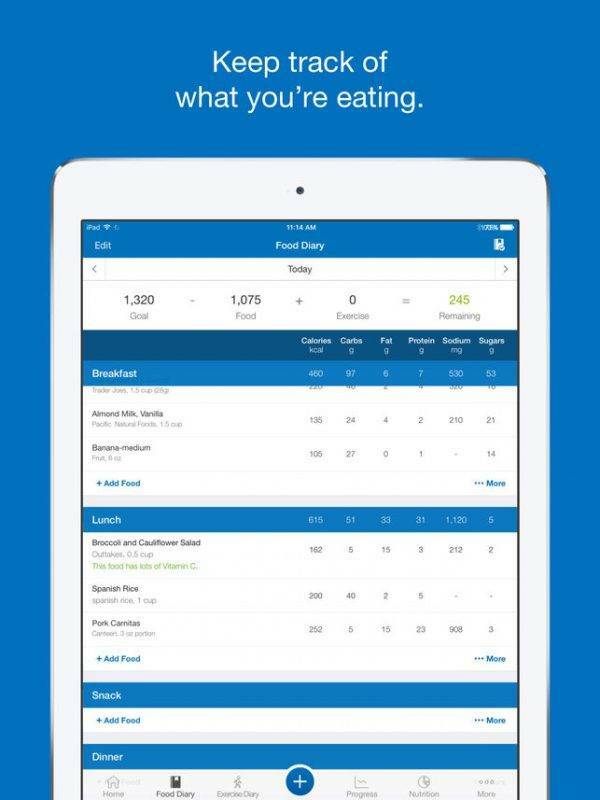 We track our macros or food using the My Fitness Pal app which is free to use! Macros are the carbohydrates, fat and protein in your food. On certain days we aim for different percentages. So on low carb days we obviously eat less carbs and our percentage of carbohydrates is less. All of this is explained in the videos during prep week and we have a week of learning how the program works. Its really simple though and do not worry too much about this. My biggest tip is that if you have a recipe or something you have daily like a smoothie is to create recipes so you can just input smoothie and it will pull through all of the info. At the end of each day we post a screenshot of our macros in our Facebook groups. This is great for accountability but also encouragement when we’ve had a bad day. You have to remember life happens and we are doing the best we can each day. The weekly workout plans are my favorite part of the program. I know I’m crazy but I love the weight exercises. If you are not interested in working out and just want a meal plan I want to let you know the program still works. They say 80% of weight loss is food based and I couldn’t agree more. I used to work out frequently and never saw a change in the scale. Once I focused on my food and followed the Faster Way I started seeing results. Throughout the six weeks there are daily workout plans available on the portal. Your cardio, weights, and rest day activities are all there and there are three different levels – beginner, home, and gym. So even if you do not have a gym membership you still have options to do the workouts. On my first round I started at beginner (which is just the gym workouts but easier) and on the second week switched to the gym workshops. I was able to keep up with the weights but had to scale back on the finishers/cardio. My second round I was not going to the gym except for yoga and I was still able to lose weight. I love that now I know what I am going to do at the gym when I go. Before I could talk myself out of it if I didn’t make it in time for a class or just wasn’t sure what I wanted to do. Now, I look forward to the lifting days and love the moves. Amanda has recently re-filmed all of the exercises so you can see how to do them in the portal. Fridays and Sundays are our rest days. I usually go to yoga on Friday and then on Sundays I just try to get in my 10,000 steps and go for a walk where ever I am. Through the portal you will see the type of foods we will eat on the program. Whole foods are a given in what we eat. For my first two rounds I went dairy free and gluten free. Now I use dairy occasionally as I’m not actually a huge cheese fan. 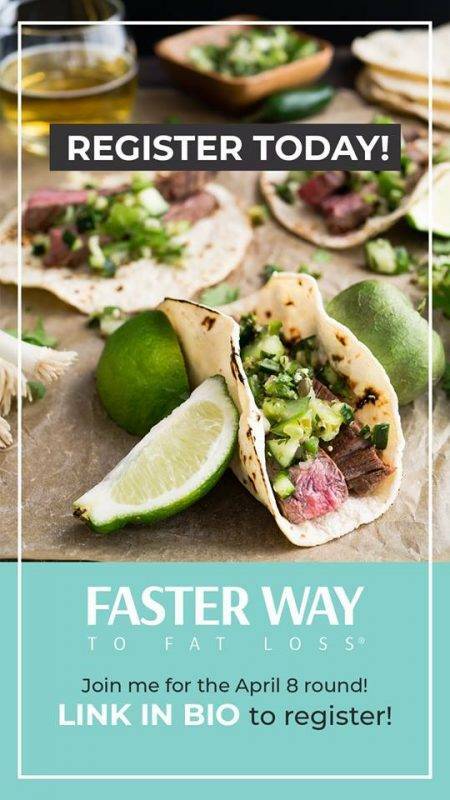 There are lots of great recipes out there such as Skinnytaste recipes for low carb days. I think the biggest takeaway for me is that the amount of veggies I am eating has increased exponentially. I actually crave veggies as my sugar cravings have gone away. I’m starting show more of what I cook and eat on the road on my Instagram if you want to follow along. The biggest problem I have with the program is getting all of my macros in during my feeding time. I am just not that hungry as my body is properly fuelled throughout the day. Its amazing! Amanda says that a lot of people are over exercising and under eating which leads to hormonal imbalances and stagnant weight loss. That’s why we eat more on this program but at the right times. I have never eaten this much food before. This is such an advantage of the FWTFL program. Everyone is set up in a small private group where we discuss daily how things are going and ask any questions we may have. The women in the group are amazing and of course we are all led by a certified FWTFL coach who is there to answer any questions and provide words of encouragement. It is such a great group of women to be a part of and I enjoy checking in daily in my Facebook group. Remember, you also have the portal where you will find meal plans, exercise plans and a ton of information. Amanda also does Facebook Live videos for you to watch and she talks a lot about the program, how it works and why we do what we do. I loved my Facebook groups and the encouragement I would get from the other ladies in the group. We work on progress not perfection and the extra encouragement was such good motivation for me. How does this program work for me? How am I able to lose weight on vacation? Easy. The program is flexible and easy to do. When I travel I change my day so that I am eating first thing in the morning (hello hotel breakfast buffet) and then finish around 4pm. I have a long, large lunch and a light snack mid afternoon. A basic day looks like the following for me. 5pm Arrive home and start cooking dinner. If you would like to see more of what I do in a day check out my Instagram Stories. If you are interested you can Sign Up Here or click the button below. The next group opens soon! I already signed up and would love for YOU to be a part of the group! • A convenient 6 week program that fits your busy schedule. • Prep week with training to set you up for success. • A comprehensive program guide with resources to help you thrive including sample meal plans, a detailed program overview, and video interviews. • Weekly workout plans which can be completed at the gym or at home. • Facebook group access that keeps you on track to accomplish your goals. Sign up now to start this incredible program!